Because buying used furniture is both eco-friendly and thrifty, it’s a very IN thing to do right now. Here are some tips to be sure you make good buying decisions when it comes to used leather! 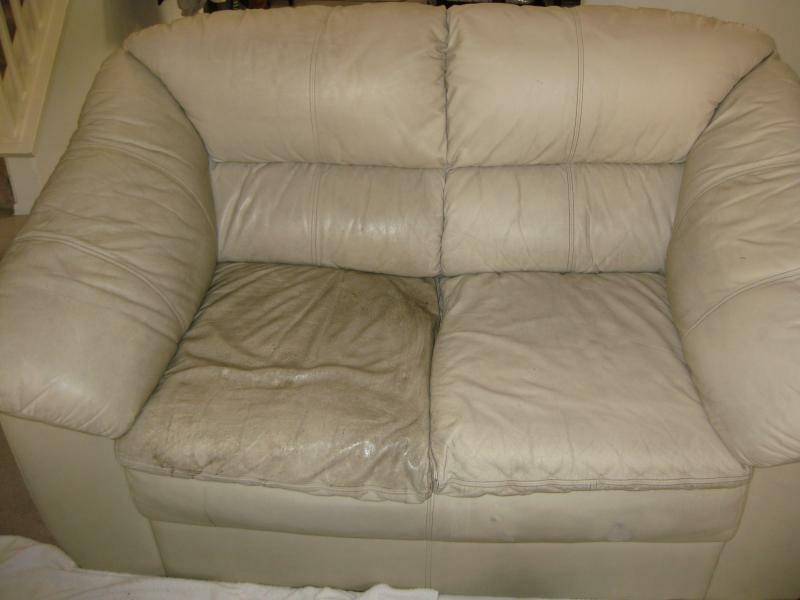 We recommend that people use leather cleaner and protection cream to care for furniture several times a year. Following those guidelines will make leather last a lot longer. 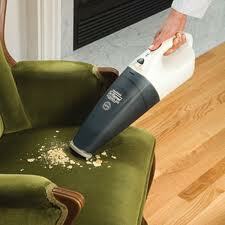 Look and see if there is dirt underneath the cushions. If there is, it is likely that the owner did not clean and protect it often. This might sound like common sense, but if you are looking at a set of furniture, line up all the pieces next to each other to compare each piece’s quality before you buy. It is likely that some pieces were used more and are more worn than others. Also, one piece of a used set may be more faded from the sun than others. These are little differences that you might not notice in the store, but may drive you crazy once you get them in your home. Setting them all up for comparison is a good way to avoid the issue. Also, keep in mind that if some pieces of a set look dramatically worse than others, it might be an indicator that the furniture doesn’t hold up well. The new-looking pieces were probably not used very frequently, so they might still look pretty new. It’s likely that the one or two pieces that look bad were the only ones that got used by the previous owners, and they just didn’t hold up well. That could be a bad omen for the rest of the set. Consider the age of the furniture. If it is relatively new furniture that is already showing some wear, it could be a sign that it won’t hold up well in the future. However, if the furniture is an older piece and is still only showing a little wear, that is likely a good sign of things to come. Is it worth it to fix-up damaged furniture? Sometimes. 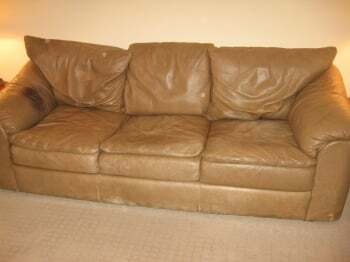 We love the eco-friendly factor in buying and fixing up used leather furniture instead of buying new. There are a lot of types of damage that are pretty cheap and easy to fix, making refurbishing a much cheaper alternative to buying new. But, there are a few types of damage you should look out for and avoid because they are expensive to fix. Dinginess – If the piece is just a little dirty and dingy looking, it doesn’t cost much to pay a professional to thoroughly clean it. A few minor scratches and scuffs – many professionals charge based on the number scuffs or scratches, so a few is going to make for a cheap repair. Holes in leather are hard to drop into the “Cheap, Mid-range, High-end” fix categories because the size of a hole makes a big difference in how expensive it is to repair. As a general rule, a hole with a diameter up to a one eighth of an inch is considered small, 1/8 to 1/2in. is mid-range and bigger that 1/2 in. is considered large. Some repairs are more likely to become a problem again later on down the road than others, so it’s a good idea to take that into consideration if you plan to hold onto this furniture for a while. For example, other than a small scratch, a repair to the sitting area of a piece of furniture isn’t going to last as long as a repair in a place that never gets touched because of the constant movement. Still wondering how dingy is too dingy? Need a better idea of what, exactly, “cheap,” means? We understand. Anyone can send a photo to a local professional for a free quote before you buy. Also, feel free to leave questions in the comments or post pictures on our Facebook!